Gus Diehr, Treasurer and CFO of General Drilling, was in need of a way to get their paperwork in sooner from the stone quarries his teams were working in. "We run remote operations and getting info from our employees back to the office was cumbersome," said Diehr, "there sometimes was a 1-2 week delay." For more than 45 years, General Drilling, Inc. has provided safe, reliable, expert solutions to the blast-hole drilling needs of stone quarries. Their fleet of over 29 track and truck-mounted drill rigs service quarries in Indiana, Kentucky, western Ohio, eastern Illinois and northern Tennessee. When you work in the drilling and mining industry, there's a lot of information to collect. "We've got daily job updates, condition of equipment reports, daily driver logs, and general inspections," said Diehr. Delays in receiving any of those could result in regulatory, safety, or billing issues. Headaches no business wants to deal with. 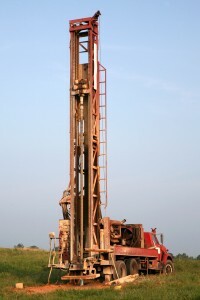 To understand how Device Magic would work within their environment, the General Drilling team tested it in the field by signing up for a trial. Soon afterwards, Device Magic was being rolled out to over 40 General Drilling employees. And before long, they saw that cumbersome paper problem fade away. Instead of waiting on paperwork from the field to arrive to the office, real-time data capture made sure that information was delivered as soon as field employees submitted it. After a form was completed in the field, a PDF containing all the data was instantly generated and emailed to the appropriate people. Waiting days to receive the information was reduced to seconds. Gone too, are the days of manually filing and managing those paper invoices, daily job updates, and inspections. "We need to keep all of that information on record. Now, not only is it delivered to the people who need it, but it’s also automatically stored in our cloud based storage service for archival purposes," Diehr said. "Device Magic gets what we need as an organization that runs remote operations," said Diehr. "We need to have everything submitted electronically in real-time. We need to be able to collect data without an Internet connection. Device Magic is doing everything we need it to do." Organizations with remote teams understand how critical the need is for real-time data capture that delivers accurate information from the field to the office as quickly as possible. Getting this data immediately allows a company to operate at a much higher efficiency rate. That's what General Drilling has been able to do with Device Magic. Check out some other industries that utilize Device Magic to gain those same types of efficiencies.